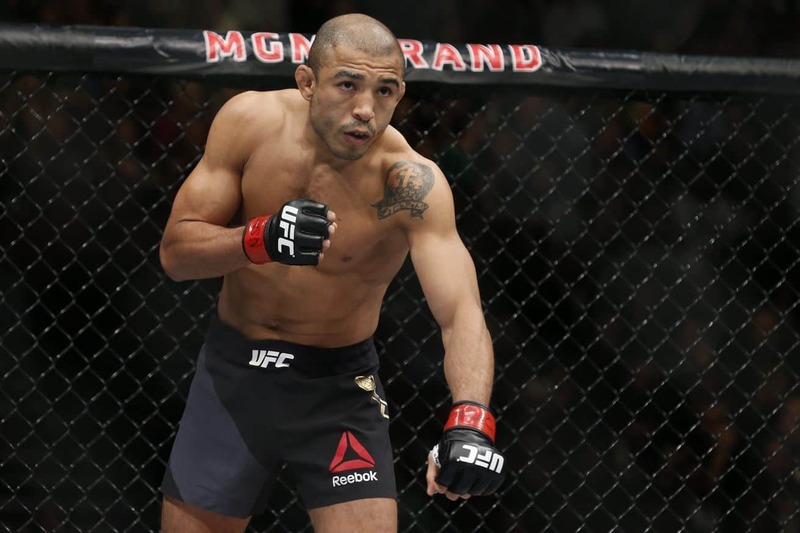 It looks like the UFC is targeting former featherweight champion Jose Aldo’s return for their UFC on ESPN+ 2 card. MMA Junkie is reporting that the promotion is working on a fight between Aldo and top-ranked Renato Moicano for the Brazil event. The show goes down from the Centro de Formacao Olimpica do Nordeste in Fortaleza, Brazil on February 2, 2019. Aldo has only lost to two men in his UFC career, those being Max Holloway (twice) and Conor McGregor. 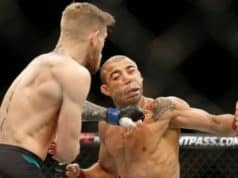 Following back-to-back losses to “Blessed,” Aldo bounced back for his first victory since July of 2016 earlier this summer. He defeated Jeremy Stephens via first-round TKO. The Brazilian is winding down in his MMA career after having competed since 2004. He’d like to make one more title run before hanging his gloves up for good. As for Moicano, he is making a lot of noise in the featherweight division as of late. Following his first career loss to Brian Ortega in July of last year, Moicano has picked up back-to-back wins. 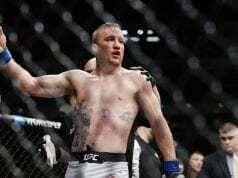 He recently submitted longtime UFC veteran Cub Swanson in August in the first round. Now, he’ll likely be sharing the cage with his fellow countryman in Aldo, who will undoubtedly be the toughest test of his career. Recently, Moicano was booked to be the backup for this past weekend’s featherweight title fight between Max Holloway and Brian Ortega. However, Moicano missed weight the day before fight night. Thankfully, both Ortega and Holloway were fit to compete and Moicano’s services were not needed. Hopefully he can solve whatever weight cutting issues he had for his bout against Aldo.